This amazing online store hosts over 250 selected artists and has thousands of curated items ranging from home decor, key chains, up-cycled artefacts, garments, accessories and much more and is so cost-effective. 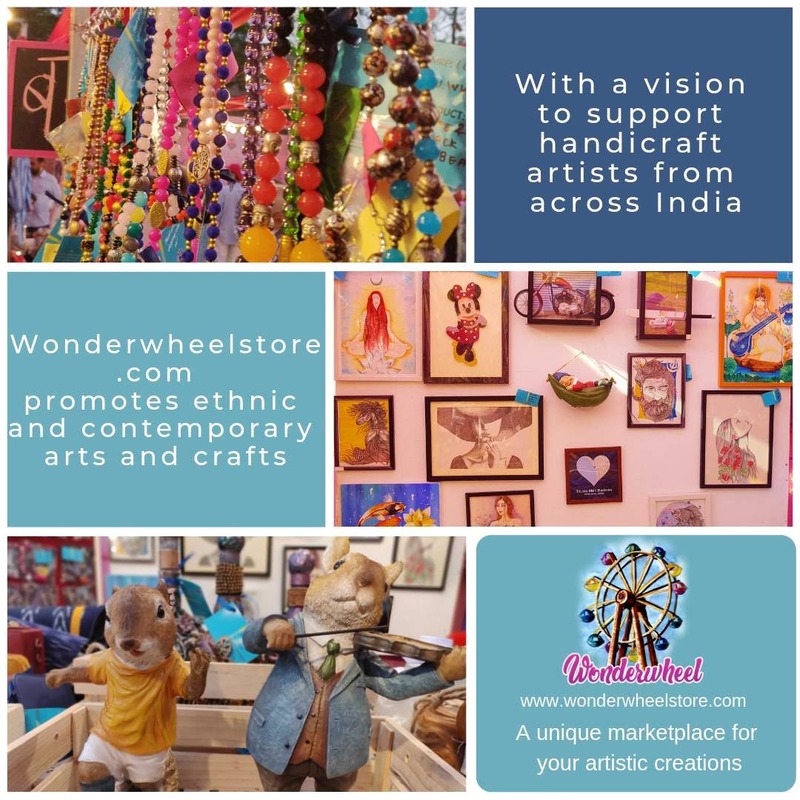 Be it gifting or self-pampering, the 'wonderwheelstore' has a variety of items for you at amazing prices and can also create bespoke items on request. Launched in 2018, the aim of the store was to support artists from across India and help them to promote and sell their creations And thus help artists to promote ethnic and contemporary arts and crafts. Their aim is to increase awareness of the different forms of art and the efforts of the artisans to master their skill and create these beautiful products. So the next time you want a perfect gift for your beloved, do check this website!